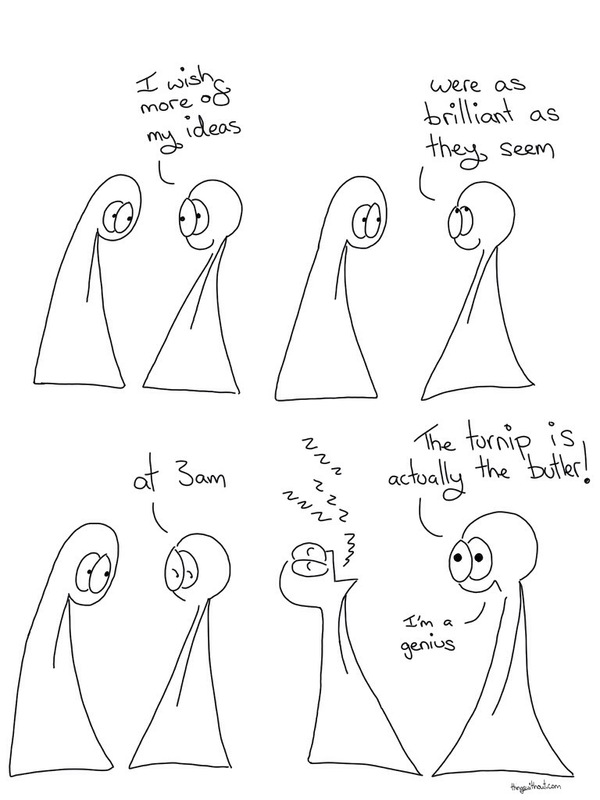 This comic was inspired by looking at my notes and going, hmmm, this comic idea might not work for anyone but me! …. I still might draw it, we’ll see, it’ll be tricky to draw and the response might be, huh? Thanks for letting Right start the dialogue. Although this might explain why he doesn’t do so al that often. Thanks for enjoying the comic. Are you kidding? I love this comic. Particilarly when Bunson talks to the sock. If you’re happy with the comic, that’s enough of a reason to draw it. And you do have to keep drawing to make space for the new ones! It’s kinda time bound, but Monday might be ok for it… then I can blame you… if I can draw it ok… I might make it a photo one!